Craftsmen craft frames out of solid wood, including ash, oak, maple, teak and walnut. Width and depth are adjustable by 1mm units. 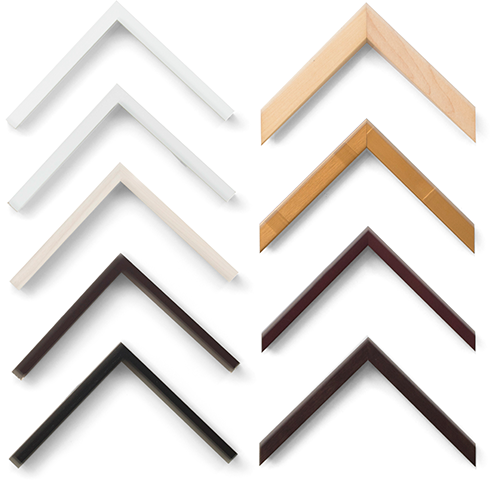 Wide selection of frames are available including float frames. To protect works from deteriorating, we offer museum quality mat board mostly made out of cotton rug and use neutral material where the frame comes in direct contact with the work. UV protected acrylic and low reflection acrylic are used for frames requiring long-term preservation. We offer advice on: content and size of work; margins on the mat according to the purpose of exhibition; width, material and painting of the frame. We provide a simulation image of the finished product, so you can feel reassured when placing an order. 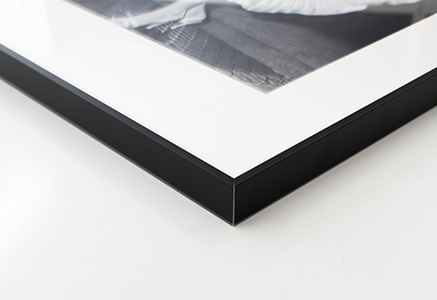 This standard framing where a work is matted and framed offers premium preservation. 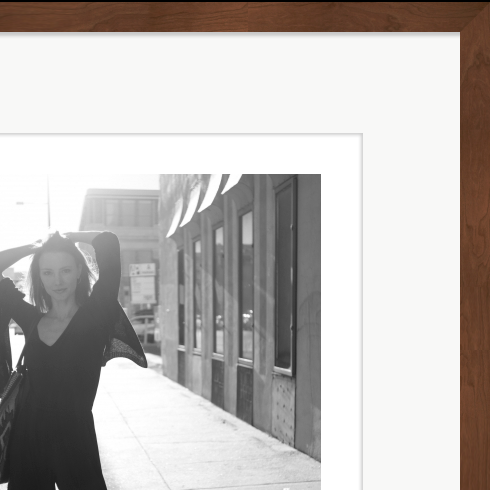 We provide frames created from solid wood, along with aluminum and ready-made frames. 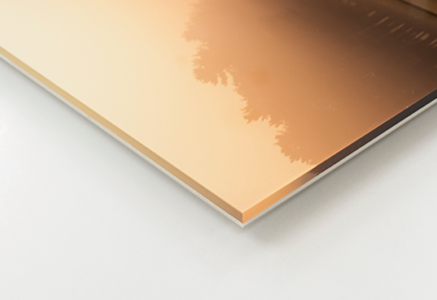 Surface of the print is laminated with acrylic, and the back is mounted onto aluminum composite board. 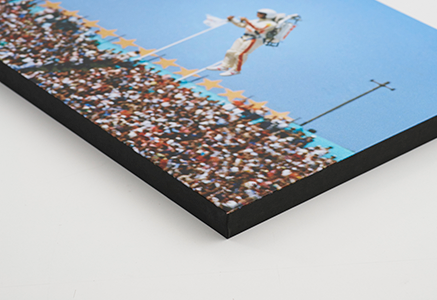 We also offer dry mounting on a foam board. A plywood is placed on a wooden frame, onto which a print is pasted. Surface of the print is laminated, and black and white tapes are pasted on the side of the panel. 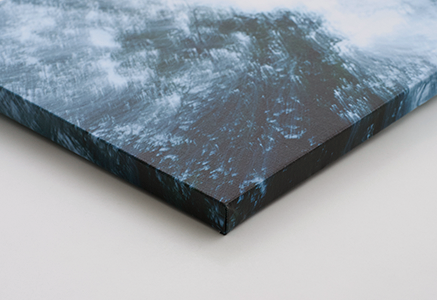 Mounting canvas: Printed canvas is mounted on a wooden frame. Acrylic box frame: Work is covered with an acrylic box frame.